KINO! 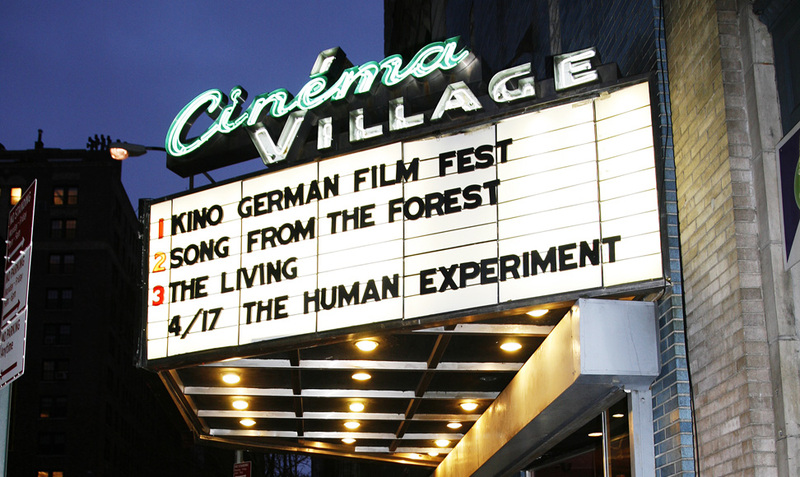 returned for the second time to New York City in April: with 10 feature films and the short film program GERMAN SHORT FILM NIGHT, the Festival of German Films brought fresh new German productions to the US metropolis. Eight guests presented their works with Q&As and panel discussions from 9-16 April at the Cinema Village. The Audience Award went to the family drama FLIGHTS OF FANCY by Christian Bach. The tragicomedy TOUR DE FORCE opened the festival with director Christian Zübert in attendance with 250 guests at Tribeca Cinemas. The GERMAN SHORT FILM NIGHT, the dark teenager comedy ABOUT A GIRL by Mark Monheim, and Neele Leana Vollmar’s THE PASTA DETECTIVES attracted a young New York audience to the festival. Short film director Christoph Rainer (PITTER PATTER GOES MY HEART), composer Sebastian Pille and actor Nikolaus Frei (ABOUT A GIRL), and producer Philipp Budweg (THE PASTA DETECTIVES) presented the films personally to the young crowd. Festival guest actress Hannah Herzsprung shared her experiences during the exciting shoot for WHO AM I — NO SYSTEM IS SAFE by Baran bo Odar. Christoph Hochhäusler’s THE LIES OF THE VICTORS and Arne Birkenstock’s BELTRACCHI — THE ART OF FORGERY also met with enthusiastic and interested audiences who were eager to lead hot discussions with the films’ directors during events at the Deutsches Haus at New York University and the Goethe-Institut New York.